Country White is a delicious addition to any meal. Its hearty artisan crust and flavor make it great on its own with a little butter, or as a base for dinner rolls, cinnamon rolls and much more. 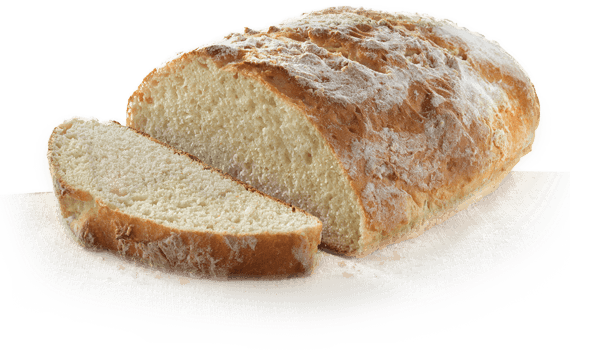 Enriched Flour (Bleached Wheat Flour, Malted Barley Flour, Niacin, Reduced Iron, Thiamine Mononitrate, Riboflavin, Folic Acid), Sugar, Vegetable Oils (Canola and Soybean Oils). Contains 2% or less of Sodium Caseinate (a milk derivative), Salt, Active Dry Yeast, Sorbitan Monostearate, Ascorbic Acid, Vital Wheat Gluten, Wheat Starch, Azodicarbonamide, DATEM, Mono- and Diglycerides, Enzymes. Contains Milk, Wheat.